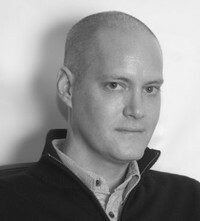 Andrew J. Peters is an author, an educator, and an activist. His books have won the Silver Falchion award and been a finalist at the Foreword INDIES (The City of Seven Gods), as well as a Readers' Choice pick at The Romance Reviews (the Werecat series). He has written two fantasy books for young adults (The Seventh Pleiade, Banished Sons of Poseidon), and he is the author of the adult novel Poseidon and Cleito. His latest novel Irresistible is a gay rom-com based on the oldest extant romance novel in the world. Andrew grew up in Amherst, New York, studied psychology at Cornell University, and has spent most of his career as a social worker and an advocate for lesbian, gay, bisexual and transgender youth. Most of Andrew’s work takes inspiration Andrew J. Peters is an author, an educator, and an activist. His books have won the Silver Falchion award and been a finalist at the Foreword INDIES (The City of Seven Gods), as well as a Readers' Choice pick at The Romance Reviews (the Werecat series). He has written two fantasy books for young adults (The Seventh Pleiade, Banished Sons of Poseidon), and he is the author of the adult novel Poseidon and Cleito. Most of Andrew’s work takes inspiration from mythological themes, but as a young writer, he adored Agatha Christie. At Smallwood Elementary School, he was briefly a literary celebrity when his school principal invited him to read from his novel Murder at Moosewood Mansion over the P.A. system at lunch. In the 90s, Andrew founded a ‘Coffeehouse’ in suburban Long Island to provide a safe place for LGBT teens to make friends, express themselves through the creative arts, and get help if they needed it. While he writes about fantasy worlds, his work tends to feature LGBT characters, and he is proud to write gay fiction for readers of all ages. Andrew lives in New York City with his husband Genaro and their cat Chloë. Outside of writing, he is an administrator and an adjunct professor at Adelphi University School of Social Work. To ask Andrew J. Peters questions, please sign up. Andrew J. Peters This is actually rarely a problem for me. I love writing, and if it didn't cost me a semblance of a social life, I would do it all the time. My…moreThis is actually rarely a problem for me. I love writing, and if it didn't cost me a semblance of a social life, I would do it all the time. My thoughts are never too far from the stories I'm working on (I usually juggle two or more at the same time), so it's a pretty easy transition from the "real world" to my space in front of the computer in my apartment. Andrew J. Peters I have a couple of projects in the works. First, I'm working on The Lost Histories Series with a follow up to The City of Seven Gods and an outline…moreI have a couple of projects in the works. First, I'm working on The Lost Histories Series with a follow up to The City of Seven Gods and an outline for a third installment. Kelemun and Ja'bar's adventure really just gets started in the first book when circumstances have them joining up to run away from Qabbat'lee. And there are other characters who I introduced in CoSG - Praxtor, his mother Nebetawy, among others - whose stories are ready to be told. Just a quick note this month, a media alert if you will, while I’m focusing my time placing a couple of finished projects. Author Alex Harrow had me over at their blog for their Queering up Your Bookshelf feature. We talked about queer representation in literature, my writing process, and what’s up next for me. You can read the article here. Andrew Peters said: " I will have to come back to this one. About 150 pages into it on my e-reader, I concluded that I bit off more than I can chew here. I was looking for some good, authentic ancient world literature. This may have been too authentic. I felt like I was s I will have to come back to this one. About 150 pages into it on my e-reader, I concluded that I bit off more than I can chew here. I was looking for some good, authentic ancient world literature. This may have been too authentic. I felt like I was slogging through the Iliad, back in high school, wondering what the heck I was missing in this classic text. As others have forewarned, the story builds very slowly and with numbing detail. There's an intriguing start to the story with the history of goddess-worshiping societies and their subjugation by male-centric tribes, and much later, I enjoyed the introduction of the character of Hercules, who is a big, reckless oaf with an endearing attachment to a boy he decided to husband around with him. But I found myself unable to stay engaged with the long, long passages leading into Jason's voyage (just to make things harder to follow, there are several characters named Jason in just those 150 pages!). ...more "
We’d love your help. Let us know what’s wrong with this preview of The Child Garden by Geoff Ryman. We’d love your help. Let us know what’s wrong with this preview of Sins of the Son by Christian Baines. Michael G. Williams’ “A Fall in Autumn” is a clever sci fi detective novel that offers a new take on futuristic, Orwellian conspiracies. Read the rest of my review at Queer Sci Fi. We’d love your help. Let us know what’s wrong with this preview of A Fall in Autumn by Michael G. Williams. We’d love your help. Let us know what’s wrong with this preview of The Lavender Menace by Tom Cardamone.